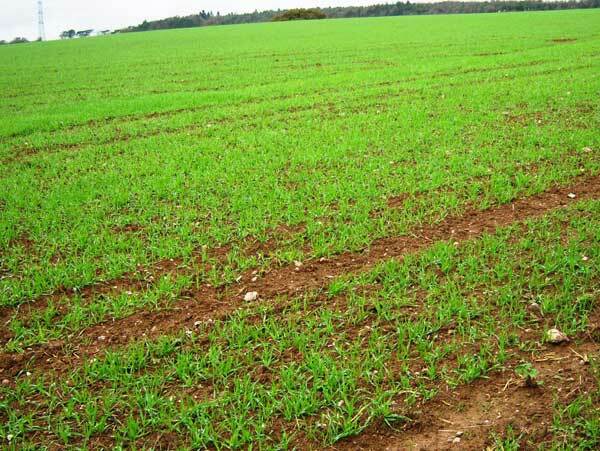 In early spring seeds are planted for arable crops like wheat (from which we get flour to make bread), barley which is used to brew beer, and oats with which we make porridge. 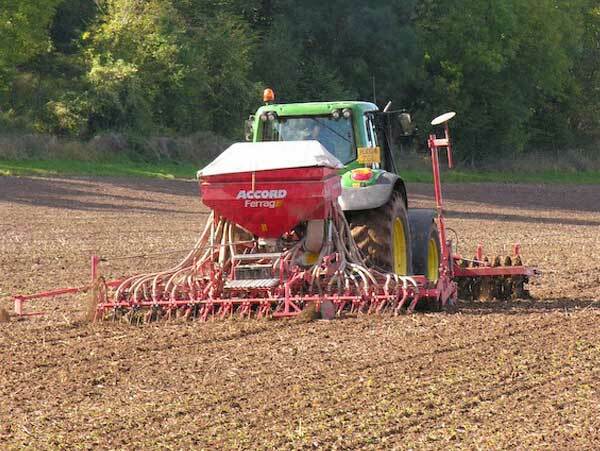 The seeds are planted with a large complicated-looking piece of equipment called a seed drill. 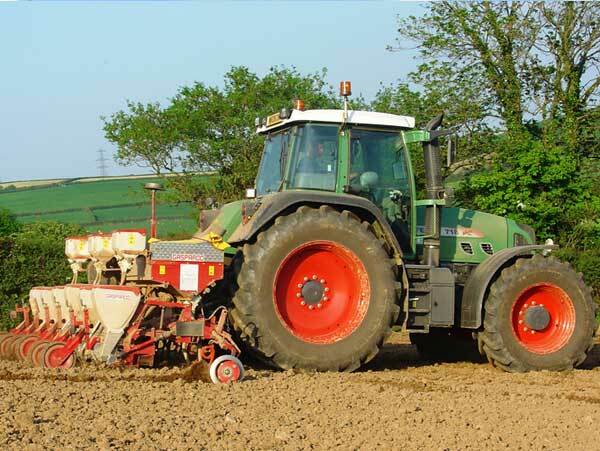 It is important that the weather conditions are right and the soil is dry as the seed must be sown evenly across the field and at the right depth in the soil. The machine deposits the seeds in the small furrows it has made and then covers the seeds with the correct amount of soil. Afterwards the field will be rolled with a heavy metal roller to press the soil down around the seeds, which helps them to germinate. When the seeds germinate and the shoots appear they may be sprayed with chemicals to prevent insects eating them. These chemical sprays are called pesticides. 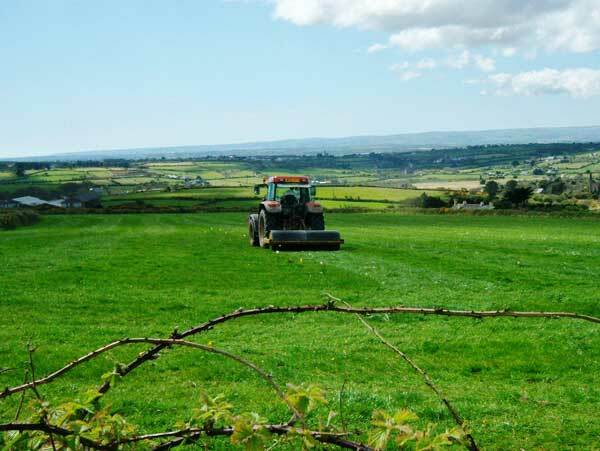 Mild winters mean that grass can grow for most of the year in Cornwall. Grass is very important to Cornish farmers as most of them keep livestock, like cattle and sheep, which are grazing animals. In other words, these animals eat grass to produce milk and meat. 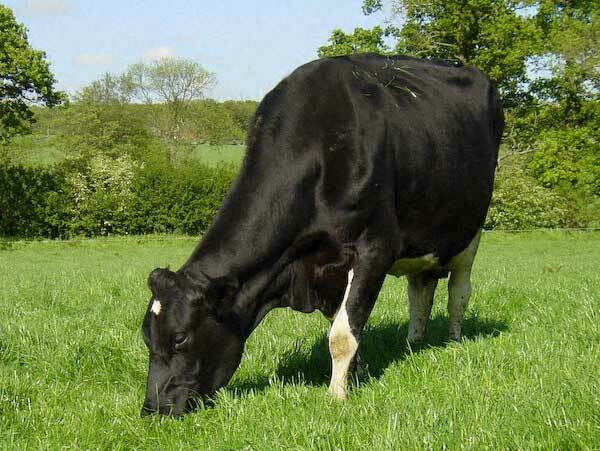 A cow can eat 80 kilograms of grass a day. In the spring the grass begins to grow again. To ensure that the animals have plenty of grass to eat, the farmer has some tractor work to do. The pasture will be harrowed and rolled and spread with fertilizer. Grass harrows are used to rake the grass. They pull up any old dead grass and make space for new growth. A heavy roller is used to press the soil down so the roots of the grass have a firm hold in the ground. The roller leaves wide stripes behind it as it moves across the field. Rolling the fields also flattens any bumps, leaving a smooth surface for the mower to work over in the summer. 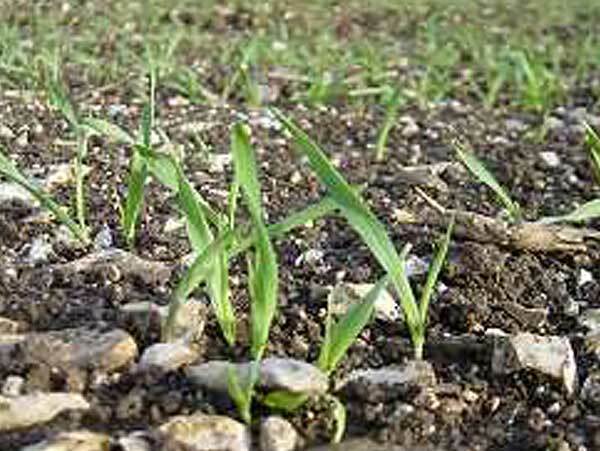 Grass, like any plant, needs the right nutrients to grow well. 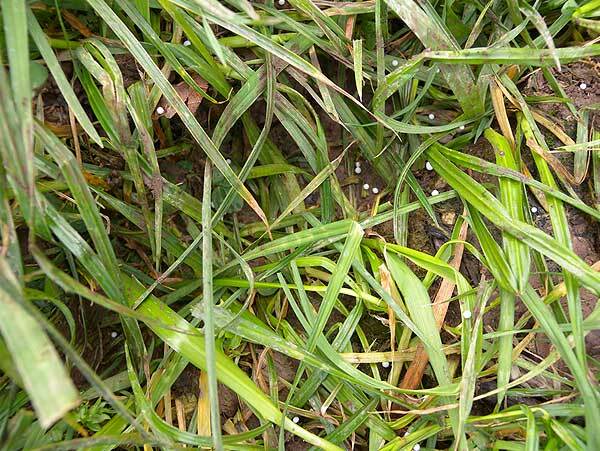 Fertiliser supplies these nutrients when it is spread on the fields. This may be a natural fertiliser like animal manure or an artificial fertiliser which is expensive to buy but makes the grass grow quickly. 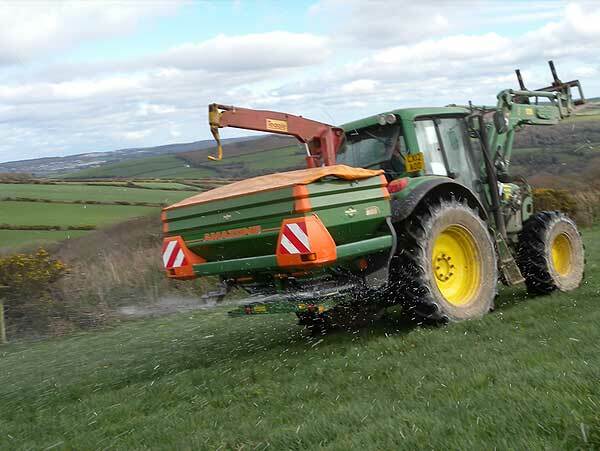 A machine called a fertiliser spreader, mounted on the back of the tractor, is used to scatter the artificial fertiliser across the field. 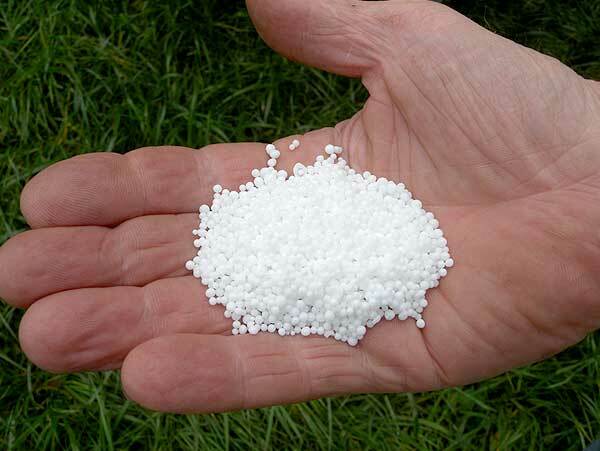 A box or hopper on top of the machine is filled with the fertiliser which is manufactured in tiny beads. As the tractor moves up and down the field, discs beneath the hopper rotate and the beads of fertiliser are flung out across the grass. In the spring, cows may give birth out in the field. 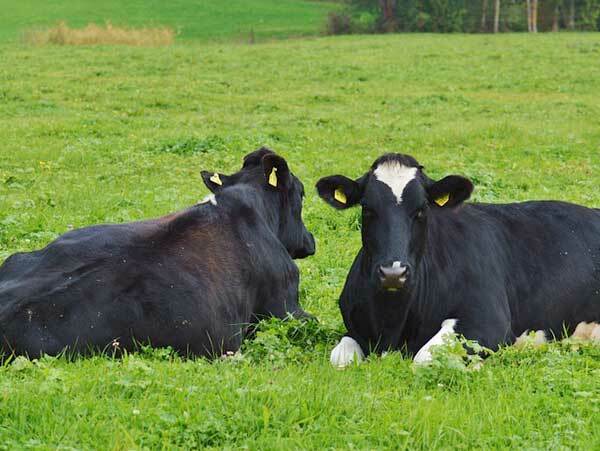 Good quality grass is important for a freshly calved dairy cow. This is when she will produce most milk, rising to a peak 6 weeks into her lactation (milk cycle). The feed value in grass is highest in the spring and this is the most efficient way to feed a cow. Soon after it is born, a calf will struggle to its feet and by instinct find its way to the udder. It is important that a calf suckles its mother within a few hours of birth. 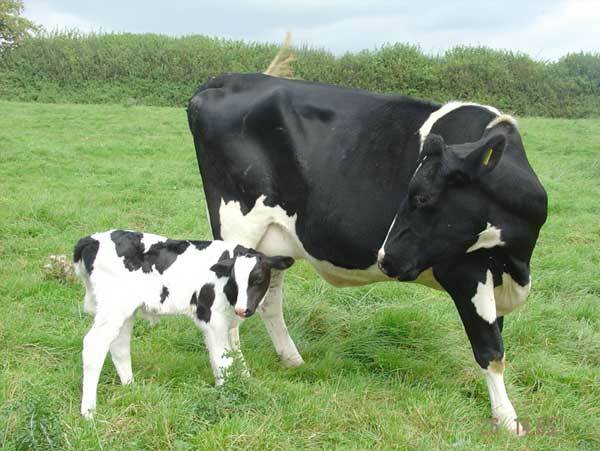 The first milk produced for the calf is called colostrum. This is very rich and nutritious, and gives a new born calf protection from infection. 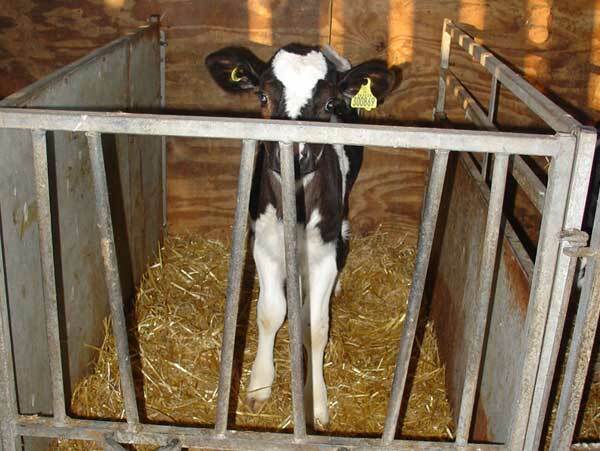 Dairy cows produce more milk than the calf needs so calves are weaned off their mothers after just a few days. The cows return to the herd and the routine of daily milking. 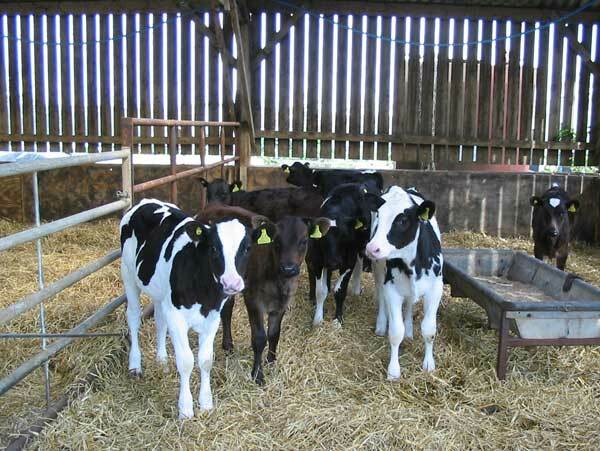 The calves are housed in pens or small groups and fed on whole milk or milk replacer from a machine or bucket. Hay and calf nuts are gradually introduced to their diet until they are old enough to be weaned off milk altogether.